Featured is Brontosaurus shedding a pond of tears done in a cool big dot technique. 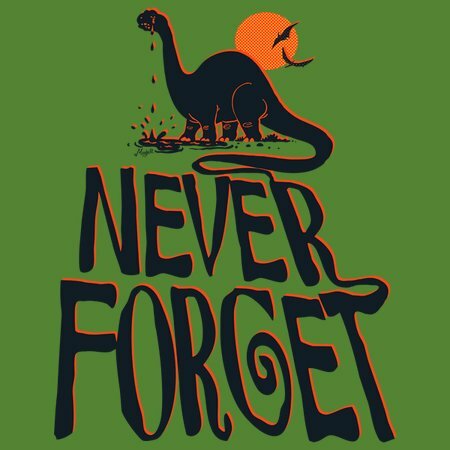 Never Forget that dinosaurs died for our oil. 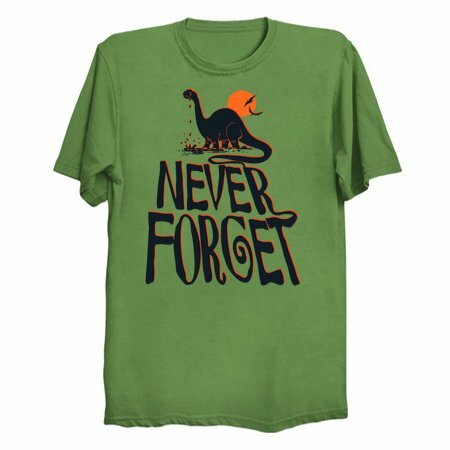 Dinosaur t-shirt design for dino lovers of all ages. Extinction is brutal enough, please remember the dinosaur.